This Urid Dal is split and de-husked Urid bean. It is creamy white in colour and has a distinct, delicious earthy flavour and aroma. 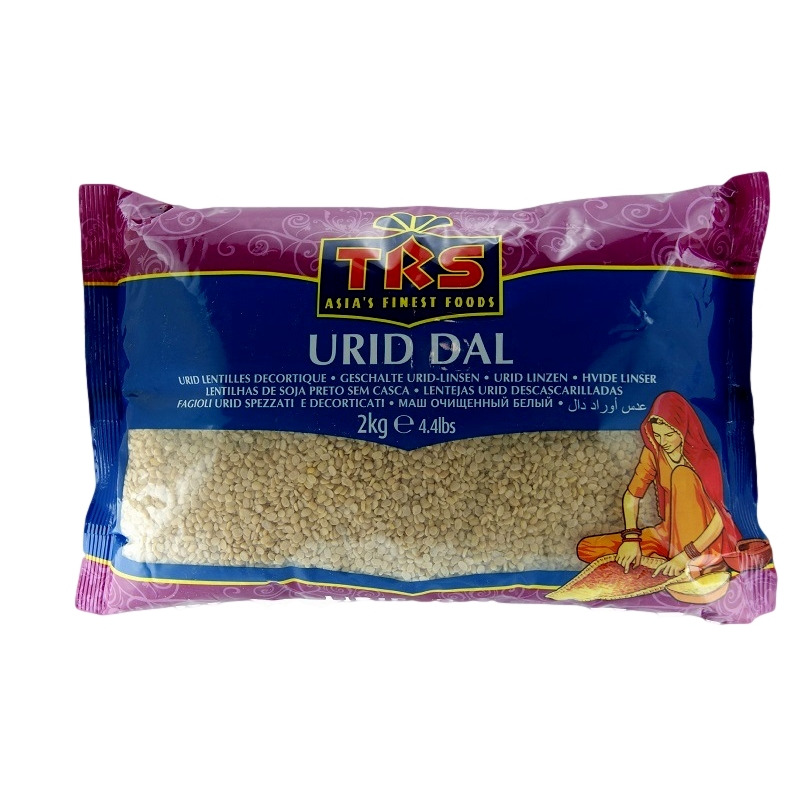 Uses - Urid or Urad dal is used widely in South Indian cooking, for eg. in making batters for vada, idlis and dosas. - It is also used in tempering Indian dishes. - Dal fry can be prepared by boiling the dal and seasoning it with tomato, garlic, ginger and onion. 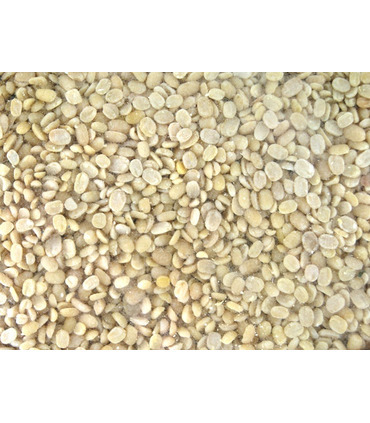 - It can be ground and used with rice flour to make chakli or murukku. Health Benefits - Urid dal is a good source of protein. - It contains iron, folic acid, calcium, magnesium and other nutrients. Storage: Store the dal in an airtight container, in a cool, dry place. Recipe: Vada 1. Soak the white Urid Dal for 4-5 hours. 2. Grind in the mixer with very little water. Add salt and curry leaves. 3. Heat oil and take one spoonful of the batter and pour it into the oil to form a round ball. 4. Fry till golden brown and crisp. 5. Remove from oil and serve with Sambhar and coconut chutney. This Urid Dal is split and de-husked Urid bean. It is creamy white in colour and has a distinct, delicious earthy flavour and aroma. 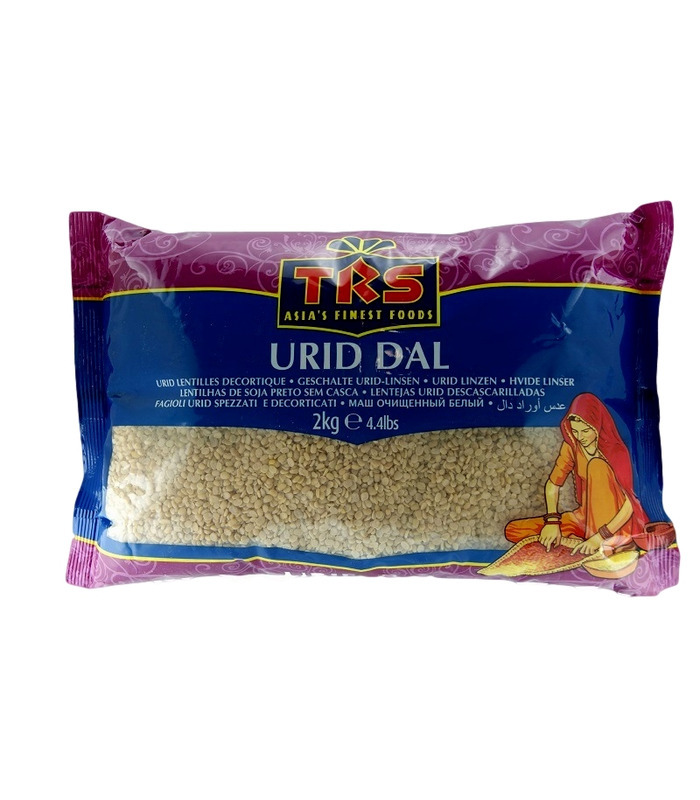 - Urid or Urad dal is used widely in South Indian cooking, for eg. in making batters for vada, idlis and dosas. - It is also used in tempering Indian dishes. - Dal fry can be prepared by boiling the dal and seasoning it with tomato, garlic, ginger and onion. 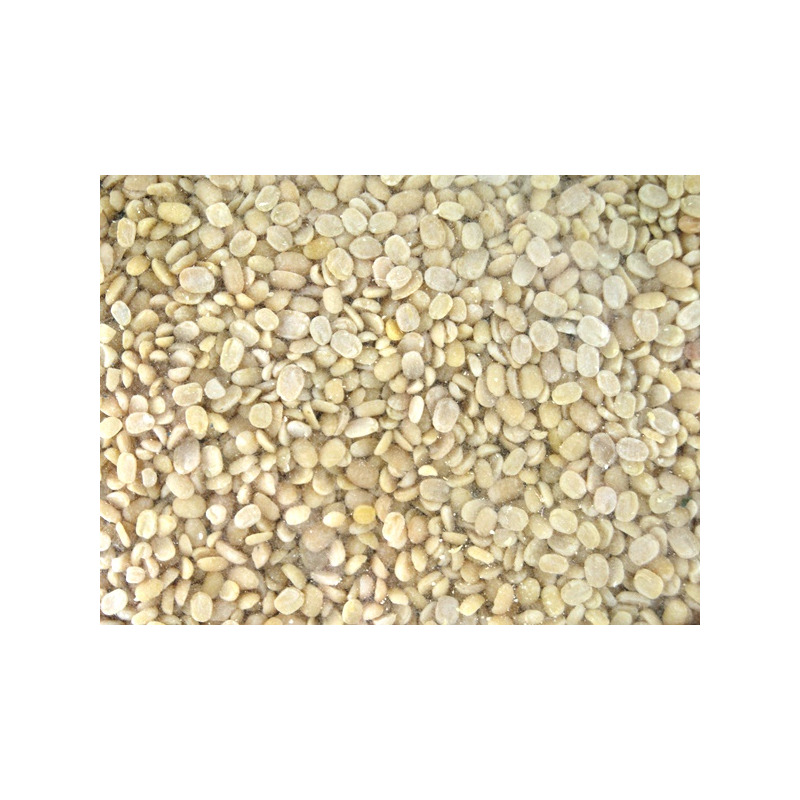 - It can be ground and used with rice flour to make chakli or murukku. 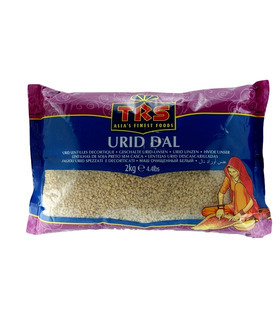 - Urid dal is a good source of protein. - It contains iron, folic acid, calcium, magnesium and other nutrients. 1. Soak the white Urid Dal for 4-5 hours. 2. Grind in the mixer with very little water. Add salt and curry leaves. 3. Heat oil and take one spoonful of the batter and pour it into the oil to form a round ball. 4. Fry till golden brown and crisp. 5. Remove from oil and serve with Sambhar and coconut chutney.